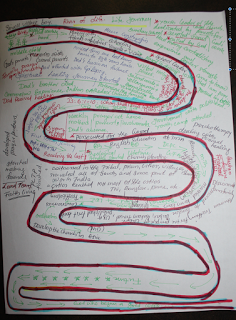 Recently I had an opportunity within a group setting to draw my own river of life journey. This was a spiritual exercise. Our personal story is a story of our pilgrimage and the story of God's interaction or presence in our lives. Telling, writing or publishing our story is a sacred process that make us aware about our own life narrative and patterns. There is a great power in sharing our personal story. Have you ever processed your story? This is the most powerful message you have. Some of our stories might be the story of a victim, persecutor or a story of rescuer. Each one has their own diverse stories. Everyone of us might be struggling with our own stories. There are cultural, family of origin and specialized significance to our own story. The process of our spiritual story starts with making notes and organizing it chronologically or thematically or metaphorically. In order to complete your final manuscript you need to process your story. You also need to overcome your resistance. I can tell you the truth when I have to write 25 to 30 pages of my own story (spiritual autobiography) I faced with the absolute resistance. There are areas in my own life I don't like to visit because they are painful and tragic. Now I am touching the truth of my own life. It lead me to full fear, afraid to reveal my authentic self and vulnerability. When you write and process your own story it will tap into your emotions, it will help you find the turning points, help you find the themes and help you tell your story. This process of telling your story, I believe is one of the most rewarding and clarifying things you can do for yourself, and for others around you. Step into that place of discomfort and write your story of freedom and meaning. 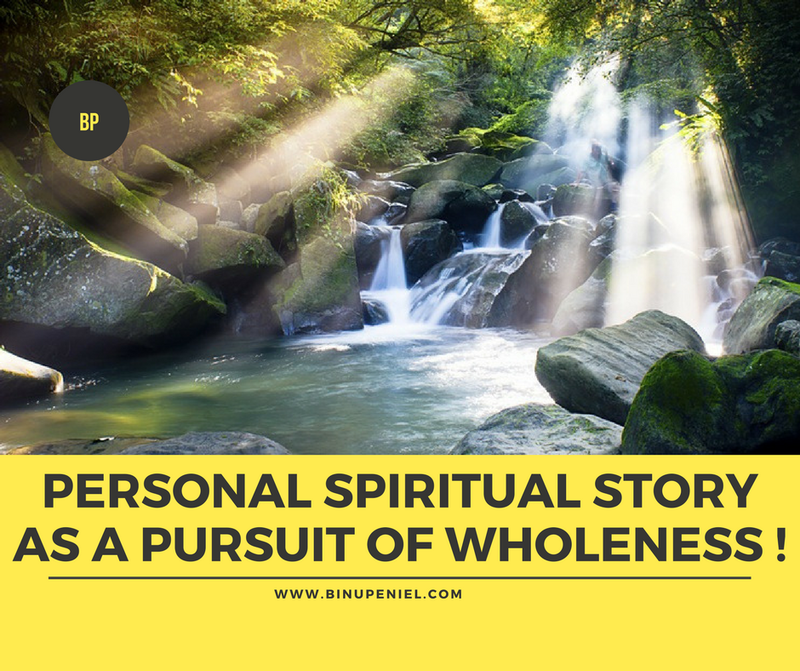 When you rewrite your story you can also write in the perspective of wholeness and integration. 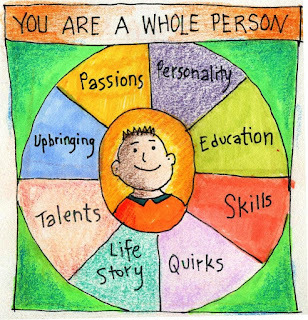 A pursuit of wholeness is a combination of your passions, personality, education, skills, quirks, personal life story, talents, upbringing etc. Writing your own life story can be one of the most complex forms of storytelling. This generation is known of their own power of story. The winner or successful personality is centered around the person who can tell the story. It could involve emerging themes, narrative flow, and re-creating dialogue from memory. 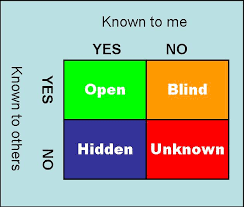 The Johari Window is another better technique to understand the relationship with themselves and with others. This was created by Joseph Luft (1916-2014) and Harrington Inghram (1916-1955). This has basically four different arenas. The first one is Open, which quadrant represents traits of the subjects that both they themselves and their peers are aware of. The second one is hidden which represent information about them their peers are unaware of. It is up to the person to disclose this information or not. The third one is blind, the person or subject is not aware about, but the group or others are aware about, in other words the blind spots. The last one is known as unknown, this represent behaviors and motives that were not recognized by anyone. This can also be called the collective ignorance. This is connected with what i see in me and what I do not see in me. 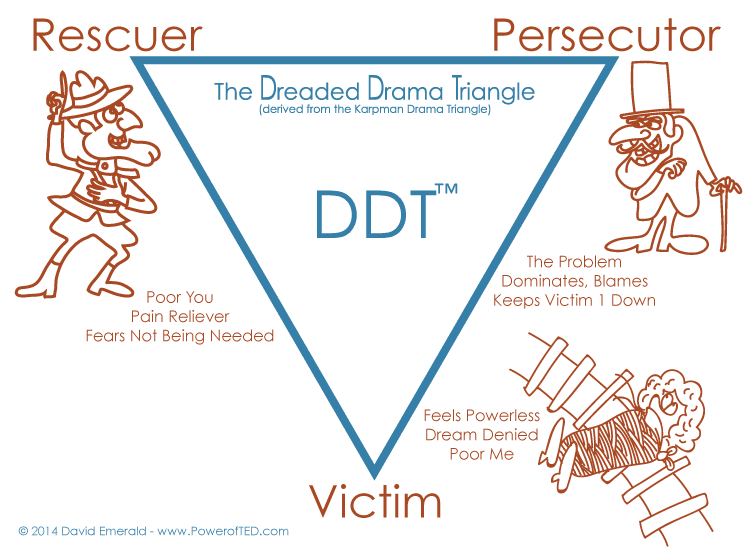 Another way to understand out stage of inner dynamic is to understand it from a drama triangle. 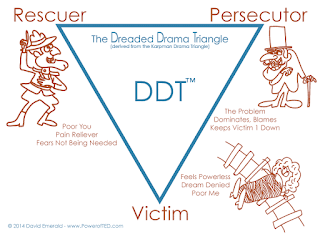 Many of us are in this drama triangle, living like Victim, Rescuer, or Persecutor role. They are interdependent and it is our biggest blind spot. Another way to understand this is a triangle of problem, reaction and anxiety. These roles can be easily transformed to outcome creator, insight creator and action creator. 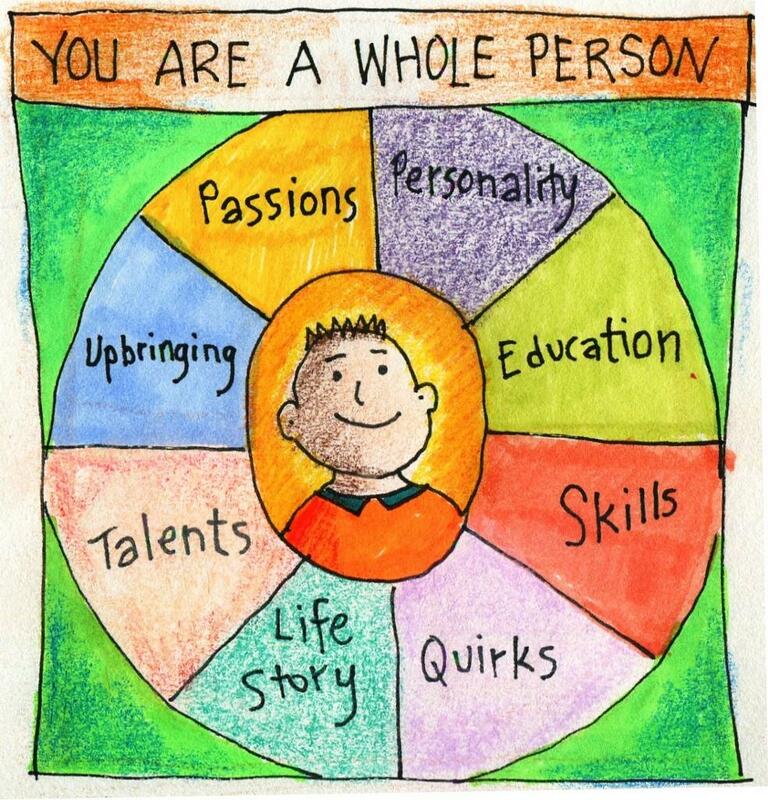 In order to have a healthy personality we need to get out of this game or drama triangle. It is only possible through processing your story. The difficulty to be honest:You can't lie to yourself. Many times we run from the reality. It is in our lostness we find our righteousness and wholeness. When we process our story we will gain power over what lies in the darkness. Darkness will not withstand the cleansing and transforming power of light. Light diminishes the grip darkness has over us. Many times this can happen where you have agreed in a small group to be confidential. Divide your life into different life period: You can do that based on a age based period such as childhood, adolescence and adulthood etc. It can also be categorized as a period of encounter with God, crisis of faith and outcomes of growth. Your encounter with God can be a mystical experience, conversion experience or charismatic experience. How has God made himself known to me/you in each period of life? The crisis of faith can be a crisis of doubt, circumstances, disobedience, depression or darkness. This will lead us to further growth which might be intellectual, emotional, behavioral, service or relational. 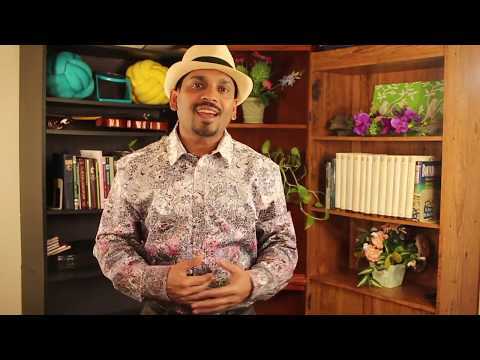 Dealing with the past hurt: Writing your own story will undercover issues that cause you pain. If this stay in our memory for some reason, it might still remain with you as an unhealed wound. Tell it to someone that you love to get this out of you and get some external help. Keep moving: Don't stay with your excuses such as " I can't do this", I can't write, I don't know, I can't talk about my life for some reason etc. Deal with the fear with the help of God. For some people it takes lot of time. The ultimate purpose is to come in one page with your own self to gain the confidence to tell your story to others. 1. Have a deadline for finishing your manuscript. 2. Create support group along with seeking God's help to complete writing your own story. 3. Create a draft with a chronological outlook. 4. Explore the places, people, period, experience, emotions, mystical, charismatic and daily experiences that you can recollect or remember. 5. Explore the low points such as crisis of faith, doubt, relationship, loose etc. 6. Explore achievements, learning and influence you created. 7. 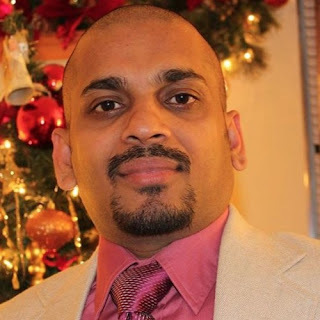 Finalize your manuscript and process your story in a presentable format. The inspiration for this blog and some of content is taken from: Richard Peace, Spiritual Autobiography: Discovering and share your spritual story. Colorado Spring: CO, Navpress, 1998.